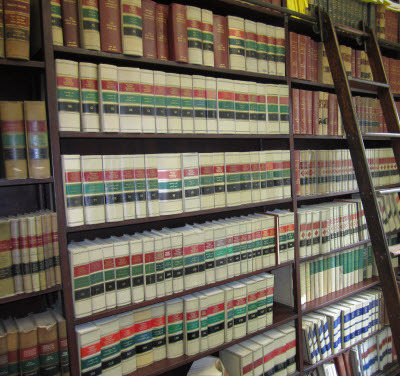 The NYLI print collection contains approximately 250,000 volumes of primary and secondary materials, covering all aspects of law and legal practice. It includes both current and historical materials, such as archival documents, superseded U.S. and state laws, older editions of legal treatises, and various books of historical interest. The collections are designed to support legal practice and in-depth legal research, and to fulfill the legal information needs of our members. Therefore, the collection’s emphasis is on books and other materials developed specifically for practicing attorneys. To borrow a book from our collection, use the Request a Book form or call us at 212 732 8720.